Vodafone, one of the world's largest telecommunications companies, has signed on as a lead customer for the Ericsson Radio Dot System, the innovative new indoor small cell solution from Ericsson (NASDAQ:ERIC, news, filings). The Ericsson Radio Dot System is designed to extend Vodafone's 3G and LTE mobile broadband network capacity into enterprise buildings to deliver a high-performance mobile broadband experience to Vodafone customers. Ericsson's industry-leading mobile broadband technology already powers Vodafone's services in multiple countries including Germany, the UK and the Netherlands. The new Radio Dot System is designed to extend that mobile broadband capacity, both 3G and LTE, into enterprise buildings and public venues. The visible element of the Ericsson Radio Dot System, known as the Dot, is sleek and compact, to blend in with any indoor environment. Valter D'Avino, Head of Ericsson Region Western and Central Europe, says: "As a strategic network supplier, Ericsson will work closely with Vodafone to expand their opportunities in the enterprise market with the Ericsson Radio Dot System. The System is a key differentiator of Ericsson's Mobile Enterprise strategy to empower mobile and converged operators to deliver integrated cloud, connectivity and communications as-a-service to their enterprise customers." Ericsson Radio Dot System is compact and offers flexible mounting. It introduces a revolutionary antenna element, or 'Dot', which delivers mobile broadband access to users. Dots are connected and powered via standard internet LAN cables (Category 5/6/7) to indoor radio units that link to a base station. The Ericsson Radio Dot System leverages the same industry-leading features found in Ericsson's macro base station, including Carrier Aggregation and Combined Cell for WCDMA and LTE. Deployments and upgrades are simple, addressing growing capacity and coverage requirements. The user experience is consistent wherever they go and the indoor network evolves in lockstep with the outdoor network. Ericsson Radio Dot System also supports integration with Ericsson's carrier Wi-Fi portfolio enabling features such as real-time traffic steering to ensure the best user experience across both Wi-Fi and 3GPP networks. 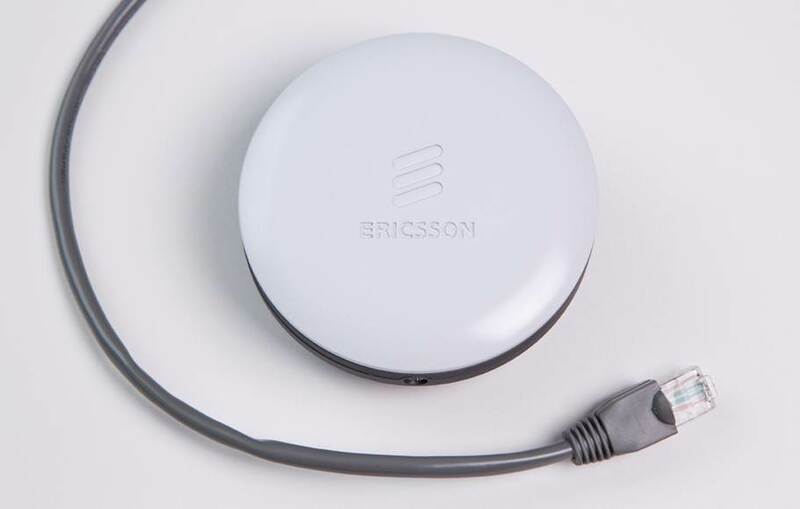 The Ericsson Radio Dot System will be in the Small Cells station of the Ericsson booth at MWC 2014.